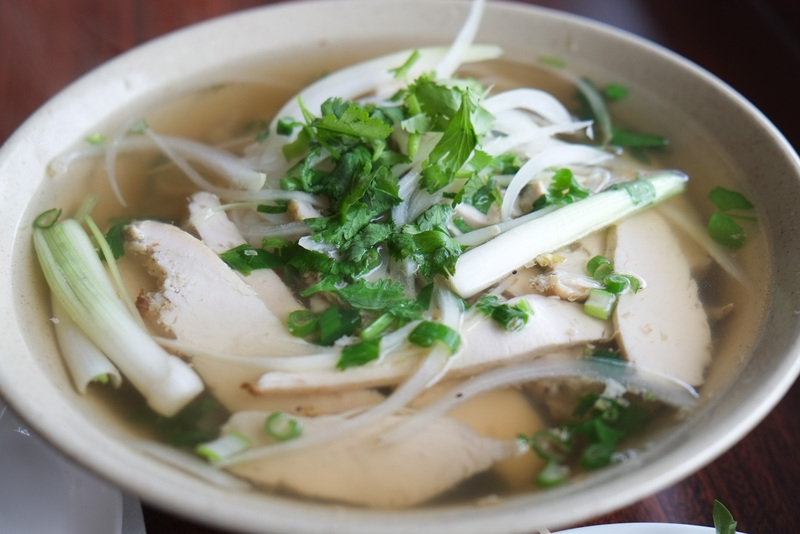 I’ve been craving a bit of northern Vietnamese-style chicken pho ever since having it at Turtle Tower in San Francisco. I’ve heard about Cafe Phin on Denman for a while but haven’t had the opportunity to try it until a recent sunny Spring lunch. Nice view of Denman St. I swear I could smell and taste pandan in their tea. Nice. 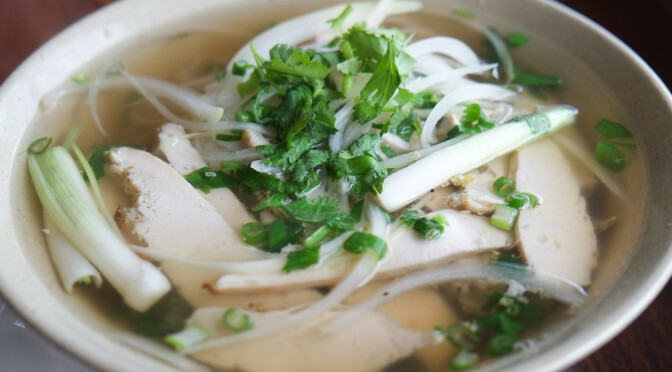 The guy there recommended the lemongrass chicken pho. Generous helping of white meat chicken. 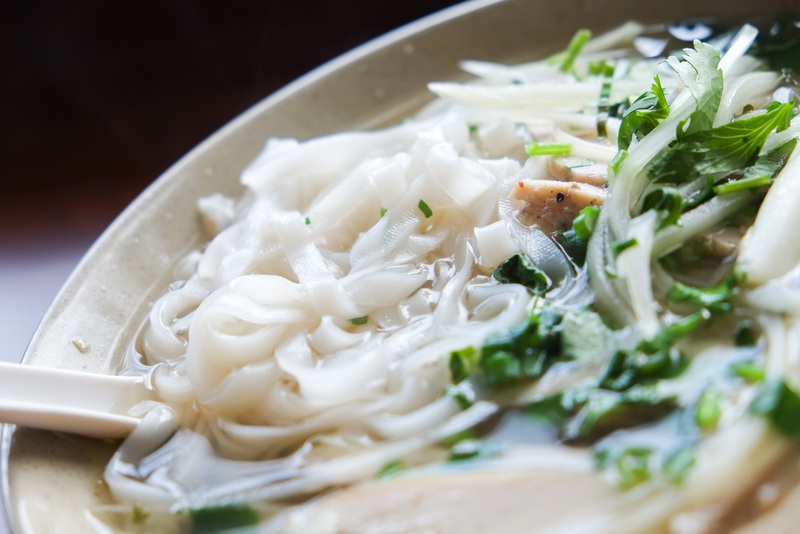 Strictly speaking, northern Vietnamese-style pho isn’t served with basil or bean sprouts, nor sriracha or hoisin sauce. 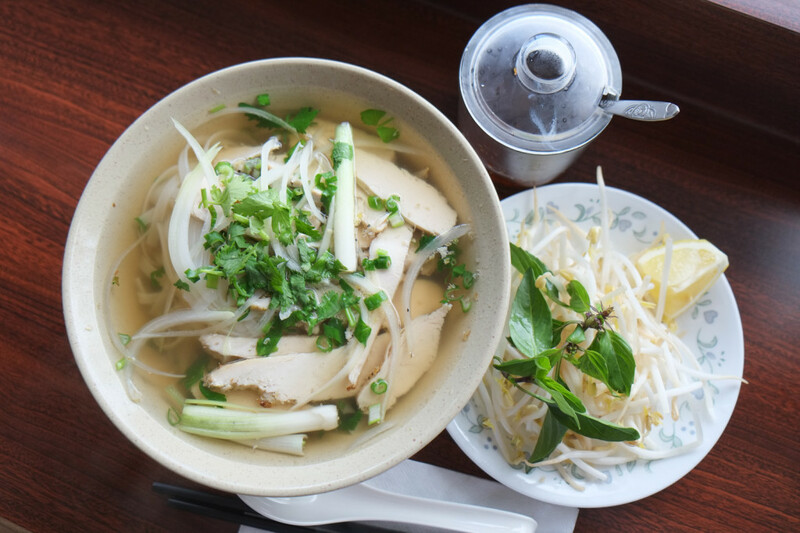 But I guess people in Vancouver are so used to seeing bean sprouts and basil on the side that Cafe Phin serves it with their pho. To their credit, the guy recommended eating it with some of their chili sauce. The noodles were good…not mushy or clumpy. I know this is a small family-run operation, and it hurts me to say this, but the broth was thin and weak, and compensated for by the use of way too much MSG. In fact it left an MSG trail in my mouth that I could still taste way into the afternoon. Chicken pho from Turtle Tower in San Francisco. 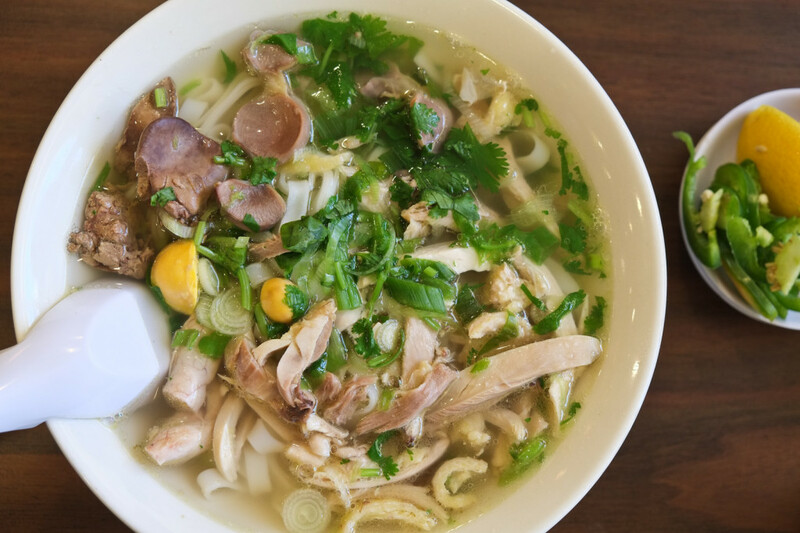 Turtle Tower’s pho is so different from Cafe Phin: a rich yet light broth with depth and clarity. It felt healing to drink the broth. No detectable trace of MSG in sight. All you get is the richness of chicken and judicious use of aromatics. 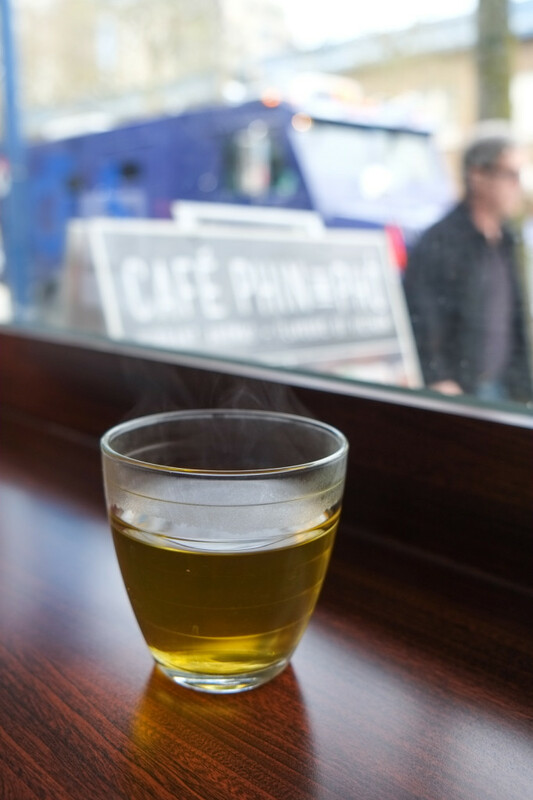 Cafe Phin’s broth was weak and salty and left an MSG buzz on my tongue for way too long. Sorry folks. Previous PostFood Crush: Alice’s Brown Bag Tasting from Les Amis du FromageNext PostKorean Rice Burgers at Kobob Burger on Main St.
Prolly old news for you but the best chicken pho I’ve ever had is at My Chau near Kingsway and Welwyn. You get a deep fried chicken leg (!) on the side which is cooked to perfection, dipping sauce and of course a bowl of the most delicate chicken broth and excellent noodles. Closed Sunday and no dinner hours but worth seeking out if you haven’t been.